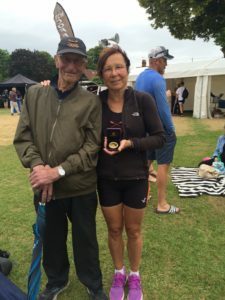 Carole Mills battled on the Thames through the tough, gusty headwind and strong stream to win the WMasD 1x event by 1.3 lengths against a Twickenham RC sculler who had beaten her by a split second recently at the National Masters Championships. 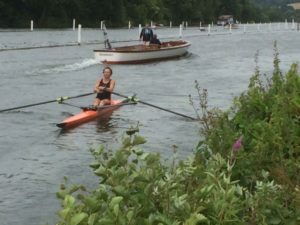 Louise Affleck + Cynthia Jones lost in the Quarter Finals of the WMasD 2x event to a Tideway Scullers crew more accustomed and accomplished at dealing with the Thames. However, it was an invaluable learning experience for this crew to race at international level. Thanks to Brian Ellis for his expertise, time and patience coaching us.